The world ends at midnight today, July 25, 2013. At least according the Mayans per expert Stephanie Sutton, wife of scientist Patrick Flanagan who I am filming here in Sedona for THE FLANAGAN EXPERIMENTS. This makes today a once in a many lifetimes day to wax nostalgic and share past lives this past 5,125 years. Which was your favorite past life? Please post your favorite past life below! Ah. I am happy just thinking back over so many amazing past lives I connect to in meditation. 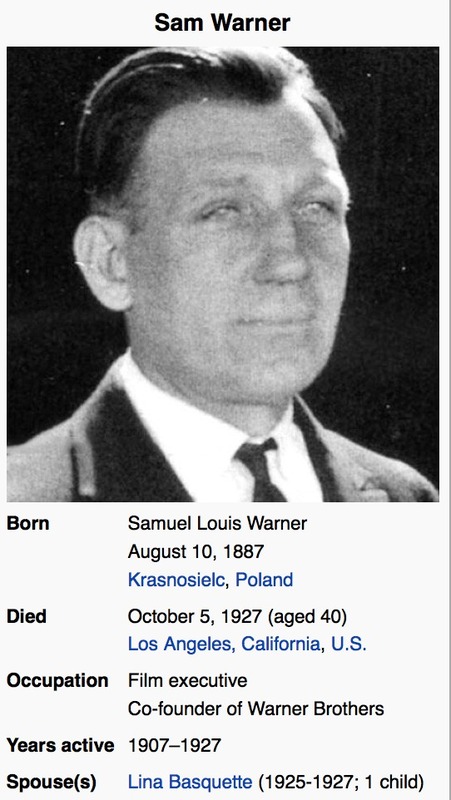 One as Samuel Warner where I founded Warner Broz. (typo intentional) and saw the birth of Hollywood. A life cut short when I died at 40 of a sinus infection. I battle sinus infections in this life too, one almost took my life 5 years ago. My bum nose is my kryptonite. I’ve had an incredible life as a Native America shaman named Laughing Skies. I lived here on the Sedona area in the 1800s . My people were all slain by the white man as I did a vision quest gathering dreams on my dream shield. I’ve learned just this week, as the old world winds down, that dream shields unlike dream catchers were not used to block dreams but used by shamans, like I was, as projection screens to share visions with the tribe. I truly had no idea how aptly I named the Big Bang of my visions in Italy of ET building a dream shield about the earth for our aid in evolution. And so I could not resist Facebooking my producer friend Barnet Bain, who made the amazing WHAT DREAMS MAY COME, starring Robin Williams. You see, when I first began DreamShield in 2010, I talked to Barnet about it as I thought I might be losing my marbles. Barnet encouraged me to share my visions, but he passed on getting aboard with DreamShield.org as he did not like the name. Barnet said DreamShield seemed fearful, this warding off of dreams. As good pals in film, he on the silver screen with epic films and me modestly on PBS and YouTube with much smaller budgets, we both get a chuckle that a dream shield is actually for sharing dreams in groups and a precursor to our modern-day dream shield of sharing dreams with crowds on the movie screens of all shapes and sizes from the movie theaters to cell phones. All of them dream shield’s of we modern-day film shamans. 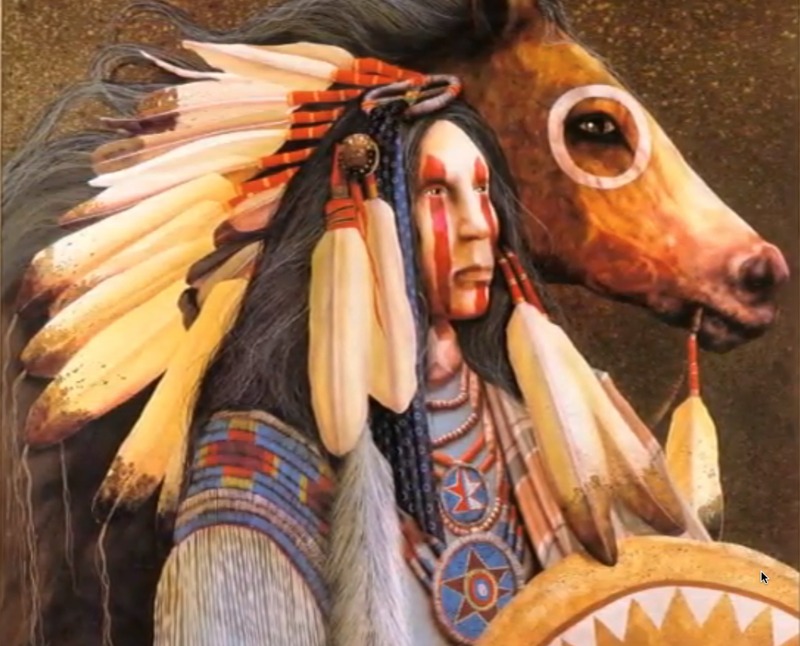 Laughing Skies spirit visits me often as a guide to me in this life on how to heal the white man to be more like the Native Americans, more at one with the mother earth and father sky. A shocking fact considering the white man killed all his people and family. I vividly remember when I was Laughing Skies tossing all my dead tribe, wife, son, daughter and mother, on a funeral pyre and then diving into the flames to join them. But of all the past lives I have so far gotten in touch with, my favorite is when I was the warrior-mayor of ancient Athens. 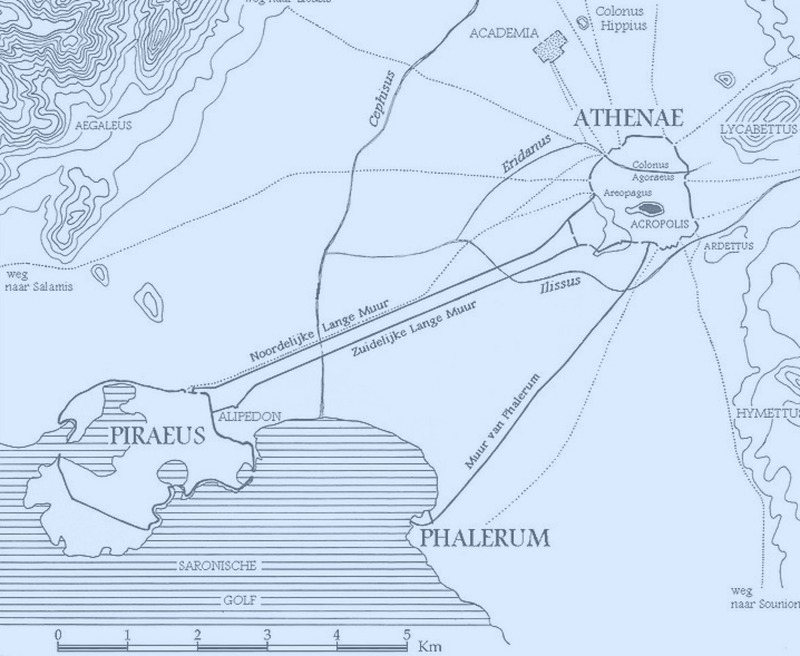 Time travel with me to ancient Greece when Athens flourished as the flower of mankind. One, cool for August, summer day I ride from Athens for the beach atop my horse Pegasus, named for the steed of Greek legend. My real-life Pegasus, white also but without wings, and I have won many battles together. We ride as warrior brothers. I tether Pegasus to a cypress tree and make my way down to the port of Piraeus to inspect new fortifications. As the youngest general ever of Greece, who saved the city of Athens from raiders, my skills with sword and shied are second to none. I am named warrior-mayor before the age of thirty. I am a fierce berserk er style warrior, who will never taste defeat in combat or contest. I love the beach to keep my fighting skills sharp and go through sword lunges that have ended the lives of many an enemy of Athens. I bow and say, “And for what purpose do you seek of me, fair Mermaid Queen of the East? “A quest. What does the mighty Poseidon ask of me?” I say. My answer comes swift and sure. “I am honored by Poseidon’s request to aid you in your hour of need, beautiful mermaid queen,” I say offering a sword salute from my to my heart to Hato’s and add, “However, my wife Penelope, my three young children and Athens would be left defenseless against the dragons of the north. So I must refuse. “You dare decline Poseidon, a wrathful god?” says Hato in shock, her tail flapping nervously on the rocks. Hato ponders for a long time, shocked at my refusal to come to her aid. Obviously, this is the first time anyone has ever said no to the gorgeous siren. ‘”Selfishness? No, fair warrior! Sweet Athens and your family are blessed by your love and talents. I honor your decision made from a pure heart of love,” says Hato. She bows graciously with a loving smile that pierces my soul. Hato dives back into the azure Mediterranean waters. I live out my long life as Turkos the warrior-mayor of Athens with honor and love. I never regret declining Hato the merimaid queen’s call to action as I will save many citizens and loved ones before hanging up my sword and shield. But I always felt bad I could not be in two places at once and help Hato the mermaid queen. One day, as a very old man in his 80s, my battles far behind me, most of my family gone of old age, I sit in mediation on the beach. Hato leaps from the sea onto the very same rock some 50 years earlier. Though I am old and gray, Hato is as young and dazzling as ever. “Hail, Turkos. Your life has been long and honorable,” says Hato. “What brings you back to my shores? My Pegasus is gone and I am old, certainly not another quest?” I exclaim. “You are passing to the next world soon, great Turkos. I want to free you of doubt in your choice as a young man.” says Hato as she transforms her fins into legs and walks to me and sits down at my side in the white sand. “I am so glad you and your people were saved, Hato,” I say, tears of gratitude welling. My eyes close and I pass happily into death to the gentle sound of the ocean waves and the cool feel of Hato the mermaid queen’s hand on my fevered brow. When I share some of this story with the amazing Shama Viola, much of it has come to me more fully in meditations over the past year, the light worker from Damanhur of Italy smiles at first. I am with a group of seven other students, in Shama’s past life workshop. We are in a teepee at Great Spirits ranch in Malibu. It’s summer 2012 and the fan is not keeping the teepee cool. I am covered in a sheen of sweat when my turn comes to tell the class the past life of Turkos. I am always teacher’s pet as a bright, if rambunctious student, and I await Shama’s praise of me as the ace past life traveler right out of the box. “But it’s a great life. I was so happy!” I say in shock at Shama’s scolding. “Look deeper. You have led thousands of lives. Tune to the life we have chosen for you to study,” says Shama. Shama moves onto all the other students and I am the only one who has not tuned into the right past life! My ego is deeply inflamed and I remain stuck on the Turkos life the entire first day of the Damanhur workshop. I fall behind all the other students, some of whom have come from as far away as the east coast. Finally, on day two, breaking a sweat in meditation I find the past life Shama wants me to study. I am shocked I was a woman. My name was Maya, a powerful female shaman who lived in the rain forests of Brazil on the banks of a great river. After a lifetime of healing thousands, Maya transforms into an eagle feather as she passes from this world. Now Shama is happy and I quickly catch up to the other students as Maya’s life pours into me. It’s a profound experience I highly recommend. 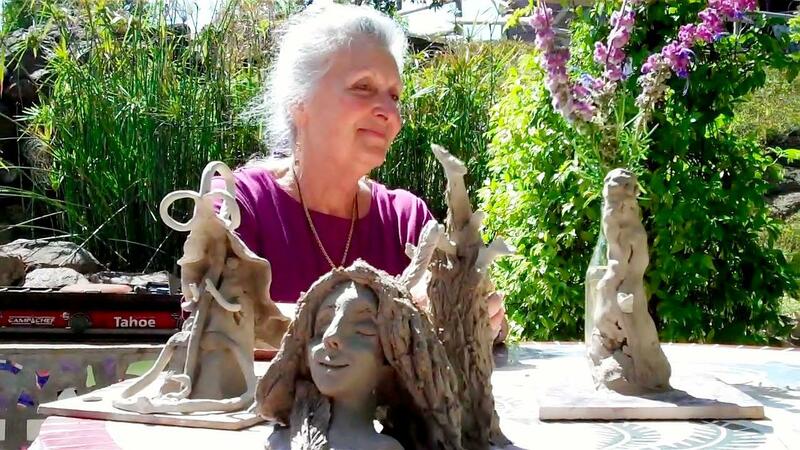 Shama’s Damanhur Past life workshop travels about the world and is not to be missed. But I still shudder thinking of the dress Shama made me wear in role-playing as Maya! 220 pound me, 6′ tall me and a 6’4″ tall buddy named Marvin, whose past life was a slave girl from Egypt. Not a pretty sight we two men in drag on a spirit dude ranch in Malibu. Wonderful as Shama and the Damanhur are in getting me in touch with Maya and the healing powers Maya passed onto me for ongoing work dor freeing people from the Matrix via my social mind over media work at BuzzBroz.com, I still wish we had been able to also work on my life as the mayor of Greece. A man who knew how to love so well. A skill I struggle with in this life, as I am great at giving love, but feeble at receiving love. Stay tuned to the blog as I travel in the fall the Italy and visit the eco-city of Damanhur itself in search of the answers. My next life the Damanhur want me to study is that of a 19th century Russian physicist. Fortunately, you get clues of who you were after your first class. So Turkos I know is not my next life. My five most important past lives to this one have all been determined. I hope one of them is the brave lover Turkos. THE NEW GOLDEN AGE DAWN JULY 26th 2013. TOMORROW! It’s also my hope and dream that tomorrow, the first official day of new Golden Age, that I, and the many like me who cannot accept love easily, will be able to fully open our hearts like Turkos. I am filled with excitement and hope here in the red rocks of Sedona toiling with Patrick Flanagan of PhiSciences, a master of past life study, to bring you videos that will change the world. Enjoy this video I made of Patrick sharing his life as Nikola Tesla. This remarkable story that will be the opening of the movie I am writing about Patrick’s amazing life. AngelsDamanhurGreeceItayKen SheetzPast livesSam WarnerShama ViolaTukosWarner Bros.
My Atlantean past lives are interesting but I still pick this one. I have a good future life coming. LOL. Love you love this life, but my question is what is your favorite past life. Answer on your most awesome blog and put a link for us here! Very cool Ken, love Tesla! Thanks, Karen. Can you please share your favorite past life? Hi Ken, I have remembered nearly 50 of my past lives, some in more detail than others. To pick a favorite…. hmm. I have healed more with some, so they have a special place in my heart. I have enjoyed remembering others. They all have their good and harsh (usually the death) moments. My favorite ones have mostly been as women. Here are a few: I was Helen in New York City having the best day ever dancing at a speakeasy club in 1927. That was a lot of fun to remember. I was also Annabelle in France living a very upscale life while enjoying listening to a harpsichord in 1795. But, my absolute favorite was as Aleena. She was a metaphysical teacher … her whole life revolved around love. Yes, Karen. I saw you as Sam Warner on a talent scout as we were launching WB. You caught my eye in your flapper dance then I lost track of you. Nice to find you again. I’ve subscribed to your blog. I look forward to your adventures.